Last March, a questionnaire from my literary agent about my social media presence prompted me to finally join Facebook and Twitter. The very next day on March 23, 2015, I started this blog. Initially, I wasn’t sure which direction I would go in, however, in real life I’m a crackerjack researcher and—according to my last boss—I write exceptionally compelling briefs. Since my latest book hadn’t sold yet and I had no blurbs or buy links to post, I decided to focus my skills on the subjects I love best: 19th century Romance, Literature, and History. 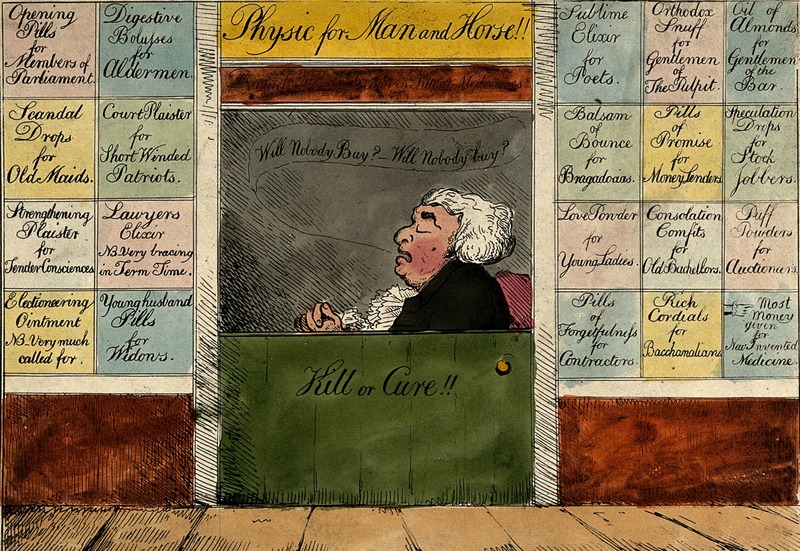 Quack Doctor Open for Business by G.M. Woodward, 1802. 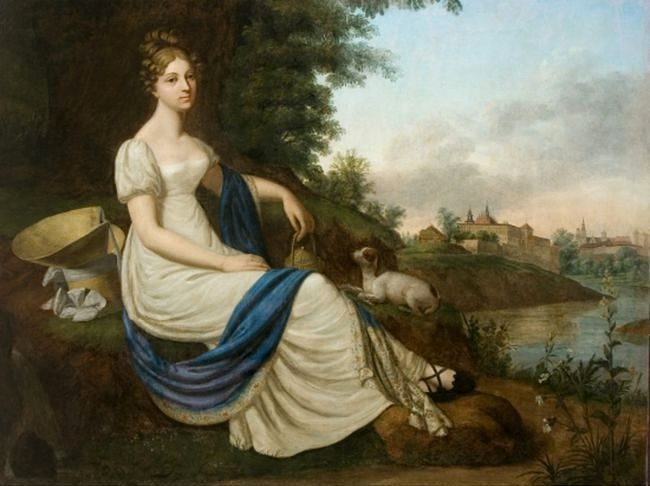 Portrait of Olimpia Losiowa, 1818-1820.